I watched The Enforcer last night for the first time in several years. I thought the beginning of the movie was not th best acting I have seen from Clint. The way he acted in the personal change scene did not seem to flow natural. And I felt the same type of performacing in the other actors in that scene as it just looked like acting not a natural flow. Then the movie kicked in and the acting was much better and kept my attention. I enjoyed the rest of the movie right up to the end. But I felt a tad disappointed at the ending simply because it just seemed to end so quickly. So I did not like the ending as it just seemed like there was room for a continuation even if the main plot was to stop the guys who where blowing up the city etc. But I cant say this will be on my list of favorites. I wonder why they re-used the Bogie title? I don't think the title was Bogie! I think Adding the Enforcer into the name also helped fans realize it was Dirty Harry. I watched the movie again last night without interuption this time. I liked it much better. I think what I did not like about the personnel change scene was more the actor playing Clint's boss. But as soon as that office scene ended! The plot of the movie began to flow and I enjoyed it very much. Still cant say its a favorite. I think my favorite of all so far is Every Which way but loose. 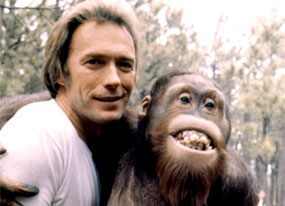 However there are many Clint Eastwood movies I have not seen yet. I plan on watching as many as possible that I have not seen. And I will enjoy posting my thoughts on these movies as I watch them. just my 2 cents worth ! I think you misunderstood wkc. The Enforcer was the name of a 1951 Humphrey Bogart movie. Just to save any other confusion, Bogart's Excellent THE ENFORCER is also known in some countries as Murder Inc. I like The Enforcer, for me it was a more fitting way to end the series of film's, as I tend to think that Sudden Impact and Dead Pool took the original persona of Harry Callahan to almost unrecognisable depths. The stories were hugely overinflated and I just didn't think that Harry looked like a cop of the 80's and 90's. A familiar ingredient missing from The Enforcer is of course a Lalo Schifrin score, he was asked to do it, but was scoring Voyage of the Damned at the time (Sad for us, good for him, as he won an Academy Award nomination for the score). The Enforcer does benefit from some great set pieces, I think the Liquor store hold up is a cracking scene, and the Alcatraz encounter I think works quite well for the film's climax, I can't help thinking that the final of The Enforcer was originally intended to bring the series of film's to a close, I see Harry truly beaten, not in a professional sense, but personally, I see a man who has seen a young woman killed, and perhaps more importantly, killed while saving Harry's life, which I think is the point that is often quickly forgotten. I'm left thinking that Harry is going to carry the weight of Kate's death, and for me, it would have been a more fitting end to the series, life just isn't all about happy endings. I totally agree. The end of any Harry film up to and including The Enforcer was always reflective. With all the talk of doing another Harry film I have always felt that we should have said goodbye to him in 1976. "I won't be hitting you with my face"
But the two other sequels shouldn't have seen the light of the day. Sure there are some good things in both Sudden Impact and The Dead Pool -Eastwood's one of them , but 5 was definitely too much. This said, I like The Enforcer a lot. One of the things that appealed to me the first time I watched it, was the "relationship" Harry/Kate Moore. You find out that although Harry looks and acts like a "macho" sometimes, he's capable of emotions. Hard nosed with a soft side. Besides, it is very funny. I also like the end very much, because it is reminiscent of Dirty Harry ... Harry feeling powerless and disenchanted, disgusted by the system, the corruption. Of all the sequels, I think I tend to watch The Enforcer more than the others. I can't help thinking that the final of The Enforcer was originally intended to bring the series of film's to a close, I see Harry truly beaten, not in a professional sense, but personally, I see a man who has seen a young woman killed, and perhaps more importantly, killed while saving Harry's life, which I think is the point that is often quickly forgotten. Maybe that's why his sympathy for Jennifer Spencer in Sudden Impact was sufficient to cause him to bend the rules at the end? This tie-in of the female character theme is something I hadn't noticed before. I'm not saying it was by design, necessarily. That's an interesting point Lilly. I've said somewhere else that I like the fact that Harry finally found a girl in The Dead Pool. He had been alone too long . You know, Thats a really good point. I never relly thought about that, plus remember DiGiorgio got killed too, So Harry in a sense lost two people. The Enforcer I have to admit I like in some aspects, but for the wrong reasons. The 'Larry Dickman" scene is a riot as well as some of the one liners." Thats mighty White Of You".HAH! There are some pretty funny stuff, but I always felt that chase scene with Eastwood and Daly chasing that dude in the streets. rooftops was sooooooooooooo long. Let;s face it no one was ever going to beat the original. Like I always felt, They should have quit after Magnum Force. Interesting thing about one of the actresses who was in The Enforcer and thats Samantha Doane who played Wanda and also the Biker Chick in The Gauntlet, buts she actually an author and lecturer and metaphysician for hypotherapy regression which i guess is some sort of self healing. She actually has a website. Interesting info, Perry. Thanks for the link KC. Just rewatched this on my 100 inch projection screen. Pretty good DVD transfer which held up well for the big screen. Good nostalgic experience. Interesting mixture of light hearted humour with deeply tragic moments as well. i've no link for this but when watching the eastwood season on Irish Television about 10 years ago the chap introducing the films explained that Eastwood made Sudden Impact and Dead Pool after moving Malpaso to a new studio (from Universal to WB i think)and that they pressured him into making Harry Movies as they were guaranteed moneymakers, apparently it was the pay off for letting him make his own movies. so then you'd be right about the enforcer being an ending. now i can't vouch for anything there, also i know malpaso weren't behind Dirty Harry and they were WB already but i think the deal was eastwoods own projects were malpaso who were tied to Universal. anyway someone like Matt or KC or Brendan will sort it out if they happen by i'm sure. the series hasn't ended yet . I just watched this one for the first time in a while and I gotta say, I don't remember it being so disappointing. The plot seemed weak and even some of the dialogue was weak. But I think the biggest draw back was the quickly emerging cliche's, e.g Harry is a dinosaur, Harry needs to accept women and minorities, etc. Unfortunately while these were good in the original Dirty Harry and even Magnum Force, they were tired in the Enforcer. It also seemed that the character of Harry Callahan was played for laughs. The test of Moore was entertaining, but ultimately came off more comedic than it should have. Finally the plot. Surely they could have come up with something more exciting than a James Bond-ish type plot of kidnapping and ransom. I think it would have worked better if they could have come up with a Charles Manson type group instead and thus give the villains some sense of danger. So what does everyone else think?